RUBBERMAID Microfiber Mop Heads feature double-bound edges for long life. Ultra-fine microfiber surface effectively picks up and holds dirt and debris. Hypoallergenic polyester/nylon microfiber pads resist stains and are lint free, for superior cleanliness. Color-coded edges ensure sanitation and reduce the risk of cross-contamination. Hook-and-loop backing secures pad to to pad holder. Launderable for reuse. 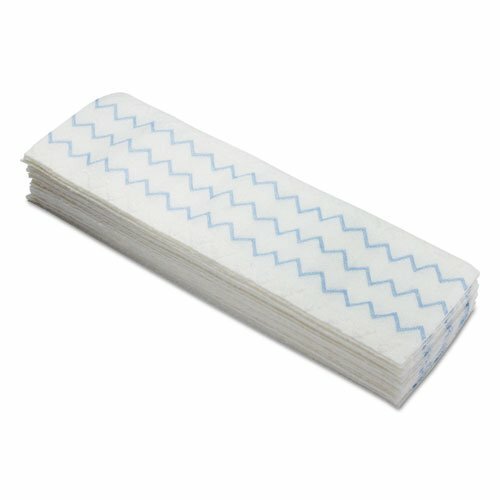 Hypoallergenic polyester/nylon microfiber pads resist stains and are lint free, for superior cleanliness. If you have any questions about this product by Hygen, contact us by completing and submitting the form below. If you are looking for a specif part number, please include it with your message.